In part two, we‘re sharing four easy activities to encourage early readers, ages 12 months to 5 years, in just five minutes per day. In part one, we looked at the first steps that any family can take to foster literacy from birth. Now, let’s take a look at four activities that encourage literacy in toddlers and preschoolers ages 12 months to 5 years. Kids are drawn to the bright colors and engaging texture on these cards. By seeing, hearing, and touching, they’re using multiple senses to absorb the new information. The more senses we engage, the better we learn. In the beginning, my son loved to dump all of the cards out of the box and re-insert them one at a time. That might not have looked liked a pre-reading activity, but it was! He was enjoying the material, he was seeing and feeling the shapes of the letters and numbers, and he was developing ownership over it in his own, age-appropriate way. I encouraged him to begin to associate the letter symbols with their sounds (also called phonemes) by making the sound of each letter as we returned it to the box. I didn’t mind whether my son knew that the name of the B was said like the word “bee,” but I knew that it was going to help him read to know that it made the sound /b/ as in bug, burrito, or ball, so I began by demonstrating the sounds. When modeling consonant letter sounds, be mindful not to unintentionally attach a vowel sound to the consonants. For example, B sounds like /b/ not /buh/. /Buh/ would be made by the letters BU together, so if you teach that B says /buh/, you’ll have a confused kid when you go to sound out a word like “but,” and he wants to sound it out as /buh-uh-t/. U says /u/ as in umbrella. There are so many other fun activities that you can try with the sandpaper letters! Encourage your child to notice similarities in the shapes of letters by sorting the cards into piles of letters with similar shapes. 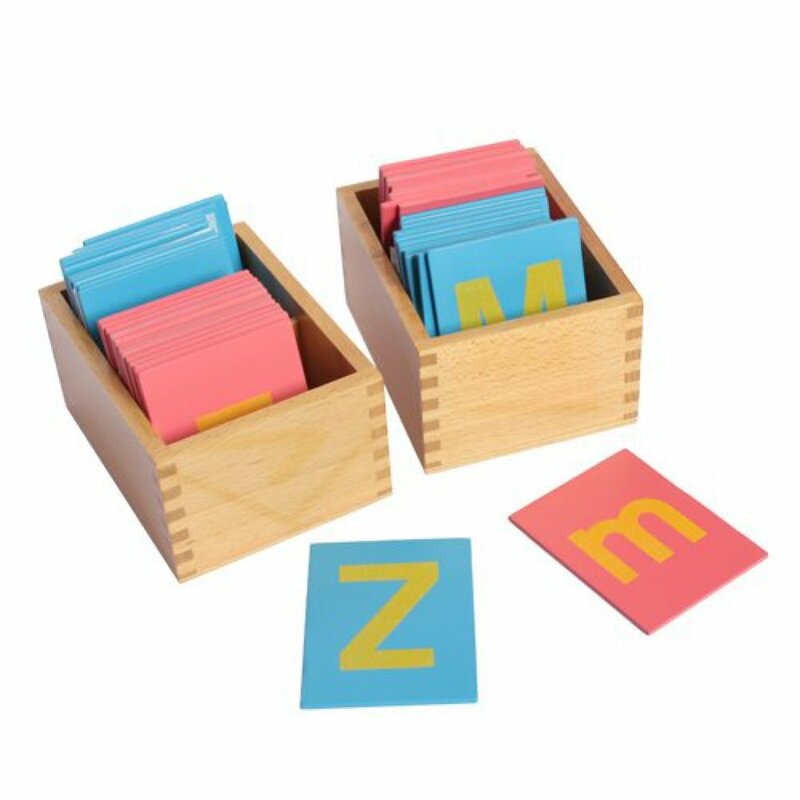 Discover where phonemes are hiding by placing each letter card on an object in your home that begins with that letter. Practice matching the uppercase and lowercase versions of the same letter. For younger learners, place two or three pairs all face up. For older kids, put half a dozen pairs face down and play it as a memory game. Once my son had the manual dexterity to squeeze and place a clothespin, I invested a few dollars in clothespins and a permanent marker, and we had a whole new group of activities! You can start by making a set of clothespins for the alphabet. Each clothespin will have one letter written on it. There are so many fun uses for your clothespins! You can match the clothespins to the corresponding sandpaper letters. You can match a lowercase clothespin to the corresponding uppercase sandpaper letter and vice versa. You can also make a set of clothespins to use with your sandpaper numerals. Write the name of a number on one side of the clothespin and draw the corresponding number of dots on the other side. Make a game of matching each clothespin to the corresponding sandpaper numeral. Your littlest learner is beginning to associate the word, numeral, and quantity! We’ll talk more about quantity and encouraging one-to-one correspondence in part three of our Foundations By Five series. Stay tuned! My son loved this activity. It kept him occupied for hours. We had a ton of fun making the alphabet box together, more fun finding objects to fill it, and even more fun getting packages from friends and relatives. 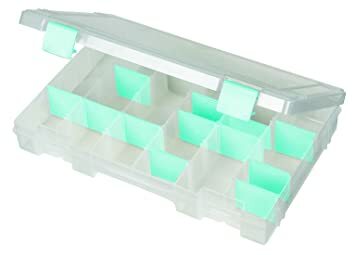 Start with a multi-compartment craft box, like this one. If you prefer, you can also use a set of small drawers, such as the one shown here. Once your box is ready, go on a treasure hunt for objects that begin with each letter and are small enough to fit into the compartments. Find free treasures around your neighborhood: rocks, sticks, twigs, leaves, pinecones, and feathers! Find treasures hidden around your house. Finding a rubber band, button, penny, dime, nickel, quarter, cotton ball, key, string, ribbon, sponge, and other small, household items makes a great indoor, rainy-day, treasure-hunting activity! Purchase inexpensive treasures at your local neighborhood stores: stamps, erasers, zippers, locks, screws, and springs make great hardware store and craft store finds. Ask friends and relatives to mail items for your alphabet box. A friend who lives near the beach sent my son a seashell. Another friend sent him a chunk of quartz. One of his grandparents even sent us a small fossil that she found on her property! My son was thrilled. Treasure hunting in our home, around our neighborhood, and getting surprise packages in the mail entertained my son for months. Even once his alphabet box was full, my son would play for hours by dumping out the items and resorting them into the correct compartments. All the while, he was learning to read by connecting the letter symbols to the sounds that they make and words with the objects that they represent. A note about safety: If your child is still putting things in her mouth, and you’re using items that are small enough to be a choking hazard, you may want to wait to introduce an alphabet box or only use it while your child is closely supervised by an adult. I Spy is a great game for fostering early reading skills! It helps develop phonemic awareness, which is your child’s ability to hear and identify the sounds made by different letters. For example, if I see a balloon, I would say, “I spy something that begins with /b/!” My son will look around us and try to guess what it is that I’ve spotted. Then we switch: he tells me the first sound of an object that he’s spotted in the room, and I try to guess what it is. First, lay out an assortment of small objects. Second, choose a sandpaper letter. Third, find an object with a beginning sound that matches the letter you’ve chosen. You can find an example of this game in action here. Work collaboratively or take turns, depending on your child’s skill level. These four activities, which a parent or caregiver can do in just five minutes per day, will encourage your youngest learners as they explore and develop early reading and numeracy skills. If you have more than five minutes, great! The most important step is to start in any way that works for your family. Stay tuned for part three of our Foundations By Five series. We’ll share stress-free ways to introduce your child to one-to-one correspondence that will build a strong mathematical foundation before she goes to school.